I am the founder of Quantitative Data Technologies, a consulting firm specializing in data analytics and modeling. I have deep expertise in the application of data science and machine learning that provide actionable insights from data. Previously, I worked at a leading hedge fund, where I built automated trading systems and systematic investing strategies. A dashboard to see a current snapshot and compare the historical performance of stocks and ETFs. 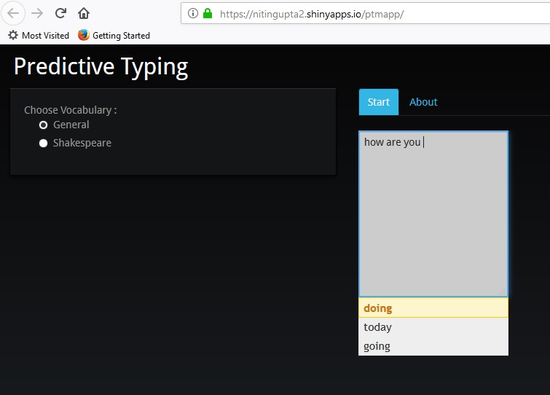 Demonstrates a predictive typing engine built using ngram with backoff prediction model. The app suggests top 3 words to use next, as the user types.